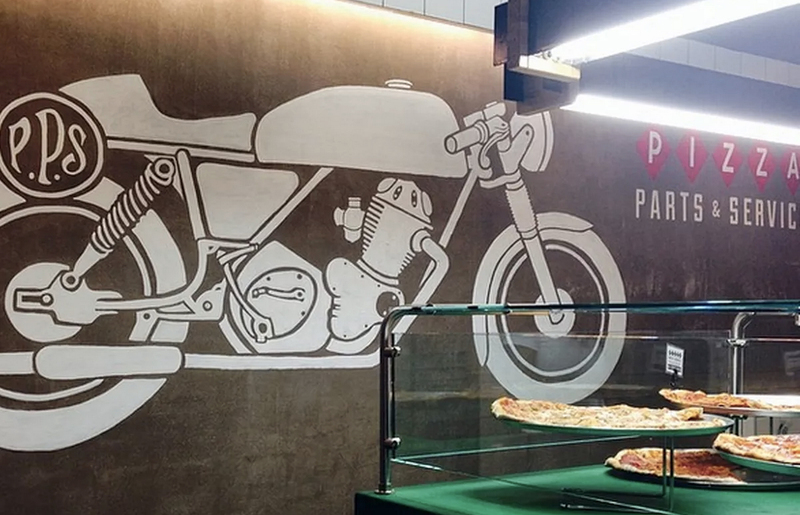 A new pizza shop opened up with a moto theme, so they figured I’d be a good fit to add some visuals. I whipped up a custom motorcycle drawing and painted it up real huge on the wall along with the logo. 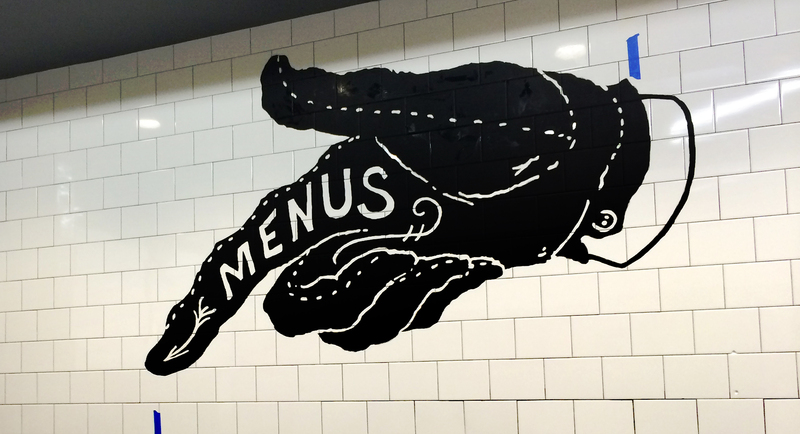 Things worked out well so the owners decided another mural needed to go up right next to it, so I drew up a big gloved hand pointing out the menu.